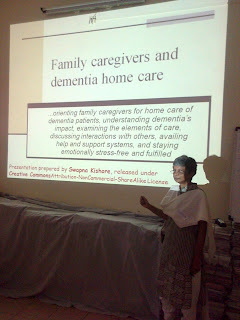 Alzheimer's Disease in India: Family caregiver training workshop: "Dementia home care", Bangalore, 2012. 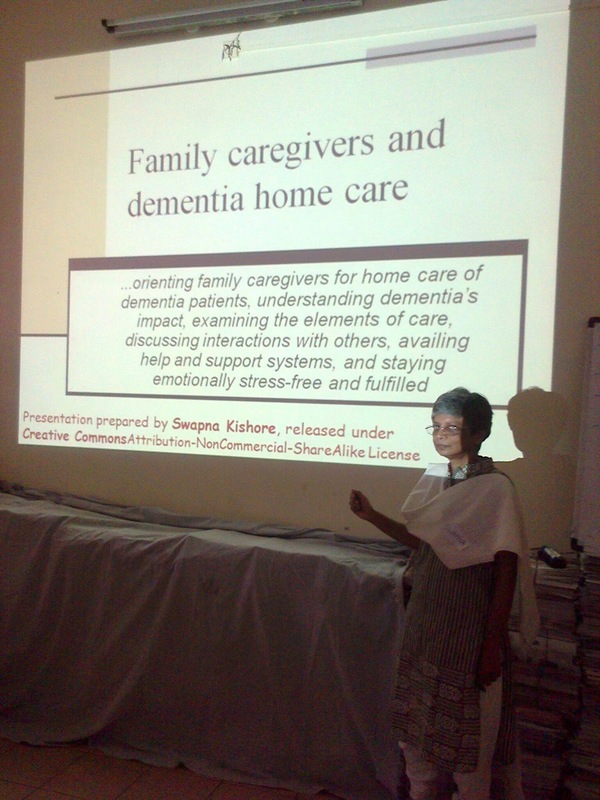 Family caregiver training workshop: "Dementia home care", Bangalore, 2012. Nightingales Centre for Ageing and Alzheimer's organizing a Family Caregiver Training Program to Empower family carers to Manage their loved ones with Dementia. Thanks for this, Hendi. Family caregivers who wish to know about this presentation, or need help or information related to dementia home care in India can write to me at cyber.swapnakishore@gmail.com and I will help to the extent I can.